"Aborn Street, Showing the Newman Hotel, Providence, R. I." by A. C. Bosselman & Co., New York. 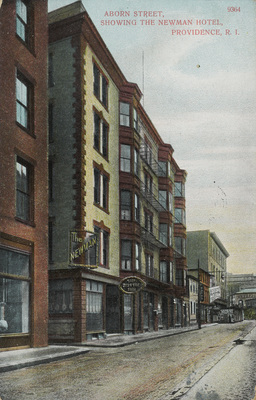 Aborn Street, Showing the Newman Hotel, Providence, R. I. Used. Postmark: October 3, 1909. A. C. Bosselman & Co., New York., "Aborn Street, Showing the Newman Hotel, Providence, R. I." (1909). Rhode Island Postcards. 8.